The Local Boys is a band that has been waiting for the designation "Americana", as "Bluegrass" just doesn't cover the material they do. 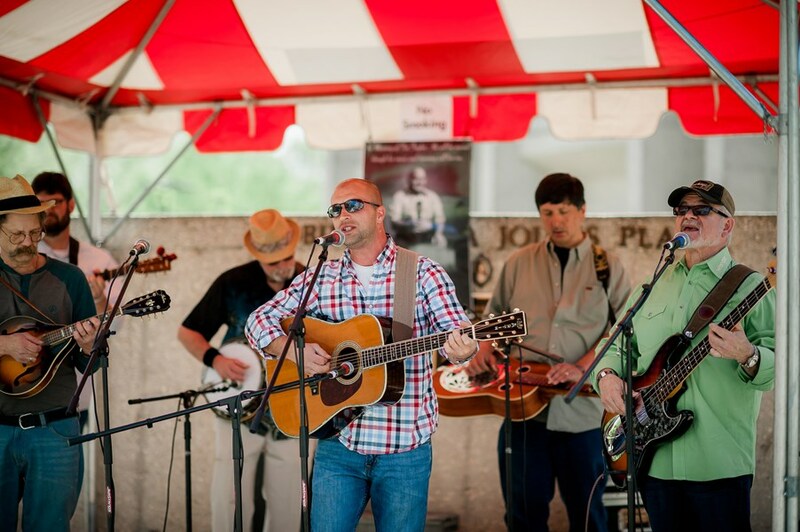 With all members of The Local Boys having deep roots in traditional music, they have a love for the musical styles that influenced and evolved from old time, country, and bluegrass. The Local Boys are fairly standard in their acoustic instrumental arrangement. Lead Guitar, Rhythm Guitar, Banjo, Dobro and Bass. Additional instruments may be available upon request including mandolin, fiddle, classical violin, classical cello, and percussion. The Local Boys can accommodate as a duo, all the way to a large production band! They have four superb vocalists, who sing lead, as well as harmonies. This gives them an ability to find the perfect combination of voices to render any song. The Local Boys have performed at Merlefest the last 20 years running. In addition, they've hosted the Plaza Stage with the late, Grammy award winning, Tut Taylor. They actively participate in the outreach program, sponsored by Merlefest, bringing music to surrounding area schools. Look for them at the festival this year! The Local Boys are experienced, prompt, and professional. From inquiry to performance, clients can contact the band with ease. The Local Boys will ensure every detail is covered including arrival time, dress code, song selection, etc. The day of, you will see a band that is punctual and ready to entertain! On stage, they are fun-loving and interactive with their audience. Intuitive and aware, The Local Boys will sculpt their set lists to enhance your and your guests experience. And "LIKE" them on Facebook! If you like Americana music, stay and listen to The Local Boys! You may hear Bluegrass or Blues, Classic Country or Rock & Roll. It's a wide variety of good music, played in a down home style. It will touch your heart and raise your spirit! The Local Boy were fantastic! I say enough good things about them. Their sound live is phenomenal! They preformed in the heat of a July day without complaint and they did so in such a manner that uplifted my guest spirits. I will recommend this group to anyone and everyone. The Local Boys were willing to work within our budget, which we greatly appreciated. They were prompt and an overall great band - the music was great. Just what we were looking for as our event band. Thank you! The Local Boys were great, flexible, and a fun addition to our party! Truly the nicest guys, they were extremely easy to work with and accommodating for our outdoor corporate event. With everything else I had to worry about (450+ attendees in 90 degree heat), it was so refreshing to have such a self sufficient and professional group of gentleman to work with. I would recommend them in a heartbeat and will most definitely be hiring them again for future events. We had a wonderful time at our wedding reception in September in Chapel Hill with the help of this band! The Local Boys are courteous and professional and very skilled musicians. We appreciated their flexibility to play a set outside early in the evening and end the night inside the barn. They played our first dance song, Harvest Moon, perfectly! Our guests came from all over the country and had a variety of musical tastes; everyone had great time. Our guests from Wisconsin loved the Violent Femmes covers. Our guitar building, banjo playing relatives from WV were in heaven with the serious bluegrass songs. Thanks for a great party. Be well y'all! The Local Boys were fantastic. They arrived early to set up getting familiar with the surroundings and the needs of the audience. The music was superb and the crowd loved them. They played special requests and invited audience participation. They were received so positively I have contacted the producers of a music show on PBS to possibly feature them. The were that good! I would hire them again and hopefully have the need to hire again. I cannot say enough. Wonderful, marvelous! You can't go wrong with The Local Boys. The Local Boys were outstanding! They performed at my wedding reception in Nov. 2017 & the music they played was terrific; a mix of bluegrass and Americana. As soon as I booked "The Local Boys" on GigMasters, the band manager, contacted me immediately and asked good questions. He also took the time to answer my questions & ask about my requests. We had many compliments about how great the music was at out reception and all of the band members were very professional. I HIGHLY recommend them to anyone who wanted them to perform at an event & enjoys the type of music they play. The cost was very reasonable for the time offered & the quality of the performance. I literally cannot say enough about these guys! I booked them for my husband's surprise 30th birthday party that we held in our backyard. We did a low country boil/bluegrass theme and The Local Boys rocked it! I worked directly with one of the lead singers Aaron who was very organized, responsive and professional. Our guests had an absolute BLAST and I received compliments about them all evening long. They were fun, talented and super friendly. 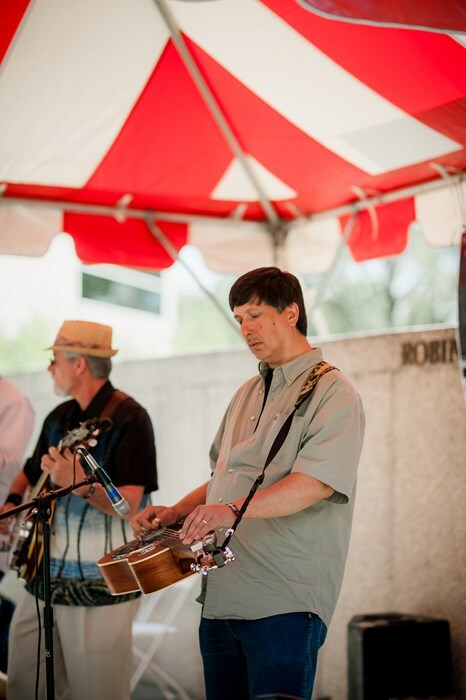 If you are looking for a fun-loving group of musicians to bring your event to life, look no further. I will 100% book these guys again in the future. Thank you Local Boys! A+. We had a great time and they played a great variety of songs. Definitely back for our 2nd event next year. Aaron and his band were amazing, they were prompt and professional. The music choices kept everyone's toe's tapping, all our guests were impressed by this great band. This is the third year we have had Aaron and his band at our festival and will continue as long as he is willing!! Please note The Local Boys will also travel to Wilbar, Moravian Falls, North Wilkesboro, Glendale Springs, Millers Creek, Roaring River, Boomer, Scottville, Whitehead, Purlear, Ferguson, Hays, Mc Grady, Boone, Piney Creek, Ronda, Hiddenite, Traphill, Taylorsville, Union Grove, Roaring Gap, Triplett, Elkin, Grayson, Hamptonville, Stony Point, Thurmond, Deep Gap, Olin, Jonesville.